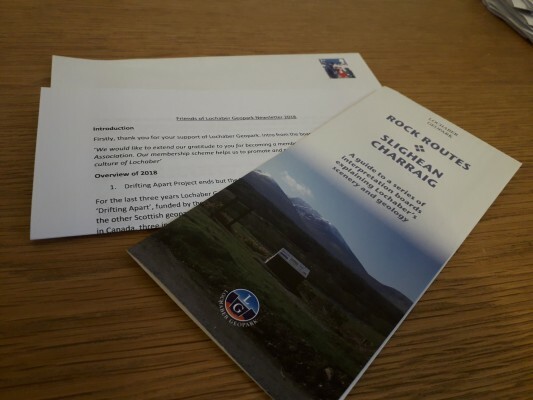 Lochaber Geopark have posted 2018 newsletters to Friends of Lochaber Geopark, alongside updated rock routes pamphlets. The letter covers drifting apart, outreach education, geotours, volunteers, the Visitor Centre and our upcoming events. Thank you to our friends for their support. If you would like to protect and promote the geology, culture, heritage and natural history of the area for the benefit of local inhabitants and visitors become a friend here.